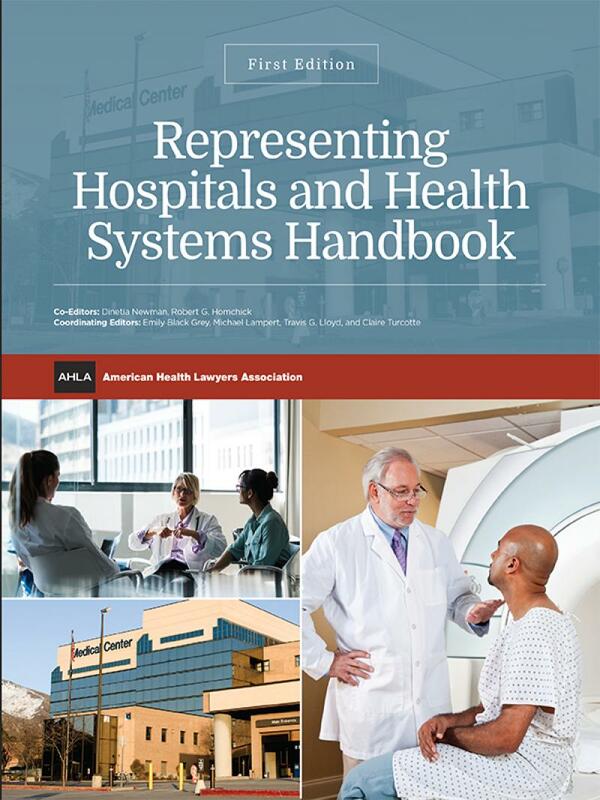 All health attorneys and others in the health care field who need to understand the intricacies and complexities of hospitals and health systems will find Representing Hospitals and Health Systems Handbook, First Edition an indispensable resource. The tremendous growth of hospitals and health systems in the United States was spurred on after World War Two with passage of the Hill-Burton Act, which funded the construction of new facilities, and the Social Security Act of 1965, which established Medicare and Medicaid and greatly expanded the number of people who have some form of health insurance. The universe of hospitals and health systems began to grow and evolve, and continues to do so. 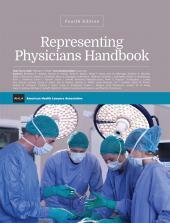 This new Handbook examines the multitude of issues that those who represent hospitals and health system need to be informed about but will also be a critical guide for those who represent physicians, diagnostic imaging facilities, other health care facilities, as well as financial institutions. Dinetia Newman (Editor) is a partner in Bradley Arant Boult Cummings LLP's Health Care Practice Group. A past president of the AHLA, she has spent her career representing hospitals and health systems, physicians, and ancillary service providers on federal and state regulatory, operational, and transactional matters including Medicare and Medicaid payment, Anti-kickback Act, Stark Law, EMTALA, HIPAA privacy and security compliance, state law licensure and Certificate of Need issues. Dinetia is a past president of the Health Law Section of the Mississippi Bar, past-president of the Mississippi Chapter of HFMA, and past chair and co-chair of AHLA's Regulation, Accreditation and Payment Practice Group. She has been a frequent speaker and author both nationally and locally and has taught as an adjunct professor in health law at the University of Mississippi School of Law. Bob Homchick (Editor) is a partner in Davis Wright Tremaine's national health care practice. As a health care transactional and regulatory lawyer, Bob counsels clients in areas such as physician self-referral (i.e., the federal Stark Law and its state law counterparts), regulatory compliance and fraud and abuse. Bob assists hospitals, physician organizations, ancillary services providers, and others in acquisitions, the formation and operation of joint ventures and in the development and implementation of new care delivery models, including accountable care organizations, bundled payment arrangements and other clinically integrated networks. His extensive experience includes defending providers in government audits, investigations, administrative proceedings and assisting providers with voluntary disclosures to federal and state enforcement agencies. Bob is a former AHLA board member and currently chairs the AHLA's annual Fraud & Compliance Forum. Emily Black Grey (Coordinating Editor) is a partner at Breazeale, Sachse and Wilson, LLP where she leads the firm’s health care section, one of the largest in Louisiana. She represents healthcare providers in a wide range of issues including regulatory compliance, fraud and abuse, licensing, provider enrollment, contracting, routine operational matters, joint ventures, Medicare/Medicaid reimbursement issues, and healthcare transactions including hospital/physician integration. Emily's clients range from large systems to individual healthcare professionals and include hospitals and health systems, surgery centers, pharmacies, physicians and their practices, healthcare management and consulting companies, and other healthcare providers. Emily has held leadership positions with the AHLA within the Hospitals and Health Systems Practice Group, in the American Bar Association House of Delegates, as the Louisiana State Bar Association's Health Law Section's Vice Chair, in the Louisiana Law Institute, and in the Baton Rouge Bar Association. Emily has also been a frequent author and speaker for these associations. She received both her J.D. and her B.A. from Louisiana State University. 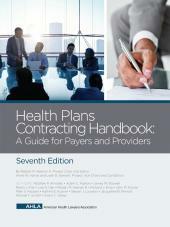 Michael Lampert (Coordinating Editor) is a partner in the health care group of Ropes & Gray LLP. Michael provides regulatory, transactional, and strategic advice to hospitals and health systems, universities, schools of medicine, medical device and pharmaceutical companies, other provider organizations, and investors. He advises in mergers, acquisitions, restructurings, affiliations, and financings in both the for-profit and nonprofit context, and has extensive familiarity with fraud and abuse laws, in both an advisory and enforcement context, and Medicare reimbursement rules. Michael is an active volunteer in the AHLA's Academic Medical Centers and Teaching Hospitals practice group. Michael received his J.D. from the University of Virginia and his A.B. from Bowdoin College. Travis G. Lloyd (Coordinating Editor) is a member of the health care practice group at Bradley Arant Boult Cummings LLP, practicing in the firm's Nashville, Tennessee office. Travis provides counsel to a broad range of health care industry clients on a wide variety of regulatory matters in the context of both day-to-day operations and business transactions. He has represented hospitals and health systems, ambulatory surgery centers, and long-term care providers, among others, and has significant experience in the areas of fraud and abuse, health information privacy and security, provider enrollment and reimbursement, and the licensure and accreditation of health care facilities. Travis is an active member of the AHLA and previously served on the special committee responsible for overseeing its mentoring program. Travis is a graduate of Davidson College, Georgia State University and Harvard University. Claire Turcotte (Coordinating Editor) is a partner in Bricker & Eckler's Health Care group and is located in Cincinnati, Ohio. Claire focuses her practice on structuring, drafting and negotiating all types of health care provider affiliation, alignment and integration contracts, including affiliations, acquisitions, mergers, accountable care organizations (ACOs), clinically integrated networks (CINs), service line comanagement agreements, joint ventures, management services organizations (MSOs), call coverage, physician recruitment, physician employment agreements and compensation arrangements, quality performance and pay for performance arrangements, and other hospital-physician arrangements. She also counsels hospitals and health care providers on fraud and abuse issues including the Stark law, anti-kickback statute, civil monetary penalties law and other fraud and abuse matters. Additionally, she works with clients on Medicare and Medicaid regulatory issues, including change of ownership, enrollment, physician supervision, provider-based status and hospital space sharing arrangements, as well as Meaningful Use Incentive and PQRS programs. Claire is currently a member of the AHLA Women's Leadership Council and is a former Vice Chair of the AHLA Hospital and Health Systems Practice Group. Claire has been listed in Best Lawyers in America (Health Care Law) from 2009-2016 and received Cincinnati Lawyer of the Year, Best Lawyers in America (Health Care Law) in 2014. Claire is recognized in Chambers USA, Health Care Law with a Band 3 ranking, 2013-2015. She received her law degree at the University of California, Los Angeles and her bachelor's degree from Stanford University.